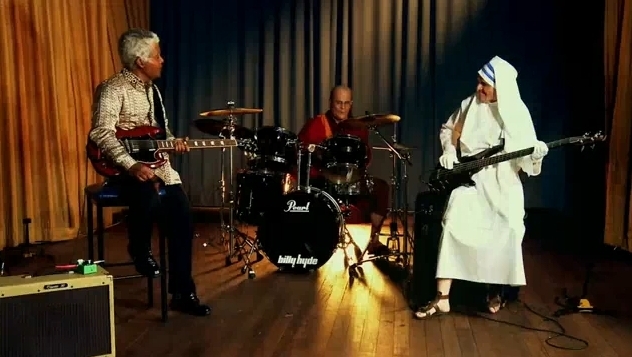 This comment may best sum up this recent work from LAVA Communications in Sydney promoting the December appearance of The Dalai Lama in Australia for a series of talks and teachings: "A band dressed﻿ up as old famous people. It's been done. Fail." A video, called The Nobel Funk Off, is being sold as having been created by "An anonymous private supporter of His Holiness the Dalai Lama." In other words, it was created by the agency which also says it will "shift focus" in a couple of weeks to reveal more about the event. Hey, it's all in good fun. right?